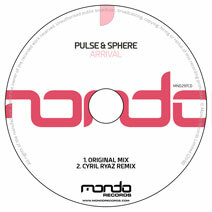 Delivering a tech fuelled behemoth, Pulse & Sphere make their Mondo Records debut in a big way thanks to their uniquely satisfying single 'Arrival'. A big, no nonsense affair from the off, packing in the energy tightly with a crisp bass line, rolling tech inspired groove and maximum energy throughout the mix. We particularly love the melody with its simple, but effective drive and uplifting feel. On the flip, Mondo Records favourite Cyril Ryaz returns and does what he does best and delivers a slamming uplifting alternative that will certainly please the masses.